The book will not be available in Canada until March 6. It has a separate URL, which I’ll post when it is operative. 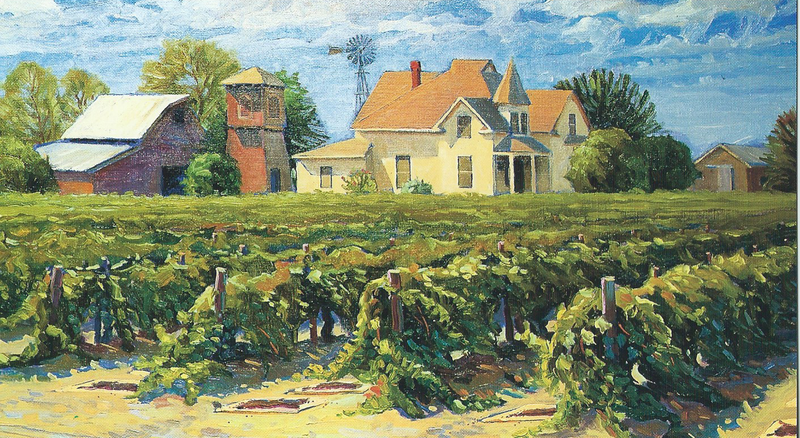 This family history memoir tells the story of Jacob and Lena (Zimmerman) Willems, the author’s paternal grandparents, who in 1919, moved with their family from a Mennonite community in Saskatchewan, Canada, to another Mennonite community in the raisin country of California’s great Central Valley. unearthing the family’s history and exploring a mystery at the heart of Lena and Jacob’s marriage. Below is the painting which is used on the cover–the same one that is on the top of my home page. I’ll post a photo of the actual cover once I figure out how to do it.